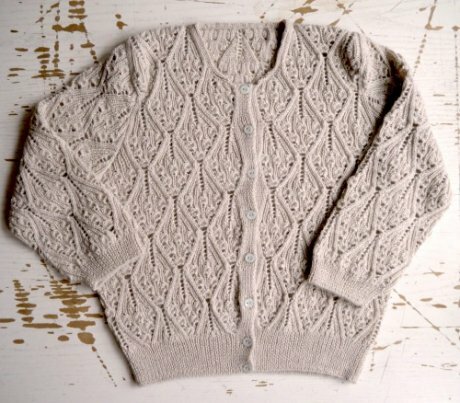 In the latest of our Fashion Revolution Day inspired ‘Who Made Your Clothes’ interviews, John-Paul Flintoff speaks to knitter, darner, maker and mender extraordinaire, Tom Van Deijnen, aka Tom of Holland. "I’ve always bought clothes with the view of wearing them for a long time, even if they were cheap I wanted to repair them as well...when I started to repair shop-bought clothes properly I also start to develop a relationship because I am putting something of myself into it. You want to look after it more. I’ve realised from making my own clothes, is it’s actually quite difficult – you need to build up quite a lot of skill if you want to make your whole outfit, and these people - that made a t-shirt that cost £4 - they also have these skills, and you should actually look after those clothes because somebody has put in a lot of skill and effort." 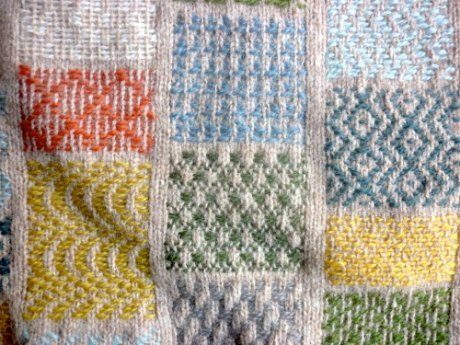 We took a visit to Tom’s blog and here we share some of his work, which we hope will offer a little inspiration to anyone considering breaking out the knitting or darning needles. 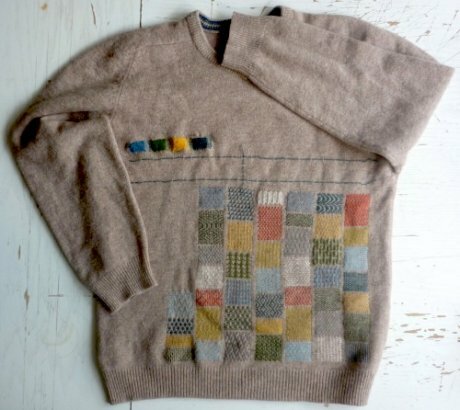 ‘Late last autumn I bought a jumper from a charity shop. It was a nice enough woollen jumper. But after wearing it a few times, I wasn’t feeling the love anymore. 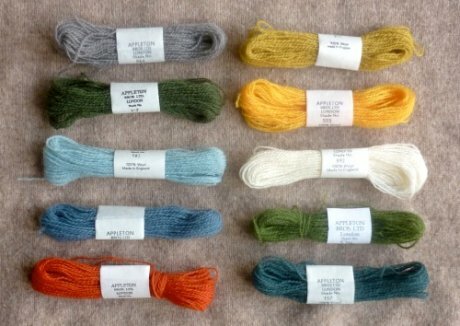 As I was keen to explore a technique I tried out on a cardigan last year, I indulged in ten skeins of Appleton’s crewel wool…It was time to say Bye Bye Boring Jumper, and Hello Amazing Jumper’. 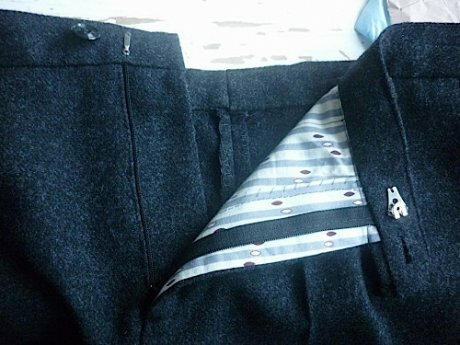 Not many of us attempt to make our own trousers, especially if we are a total sewing novice, as Tom was when he set out to sew his own. He swapped skills with someone he knew, teaching them to darn in exchange for them teaching him to sew. We couldn't agree with you more Tom. To find out more about Fashion Revolution Day visit: www.fashionrevolution.org. 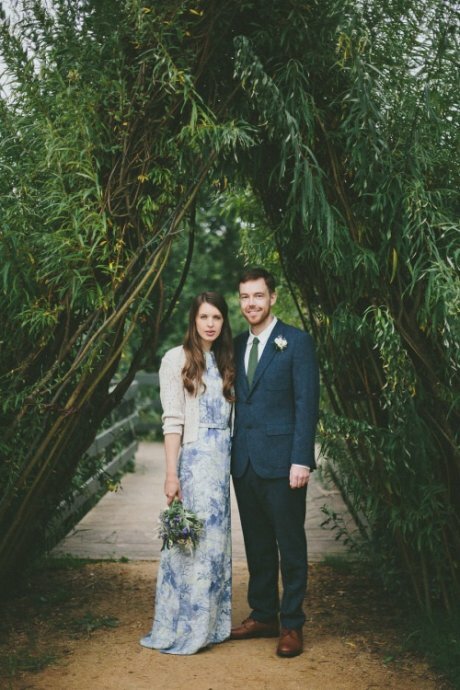 All images: Tom Van Deijnan, except Rosemary's wedding photo: Emilie White.